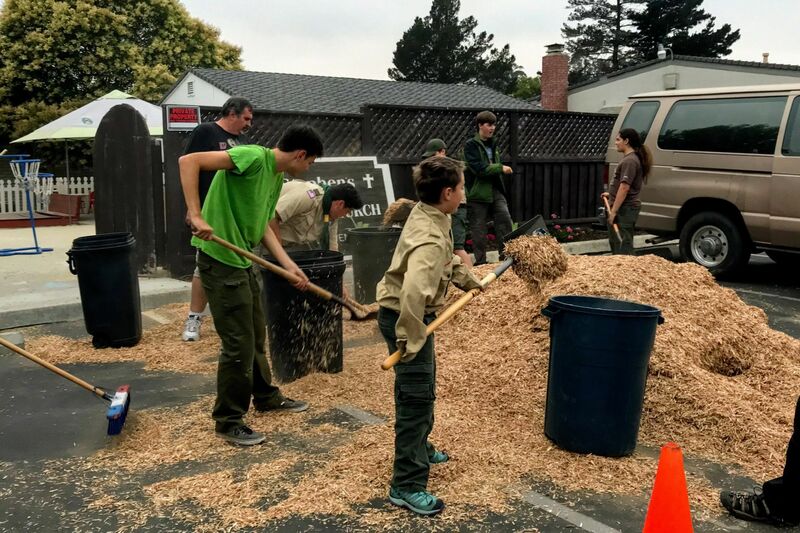 Casper's Scouting troop, Troop 633 came together to help St. Stephen’s preschool out by refreshing the playground's chips. They worked diligently, taking turns shoveling chips into barrels and unloading said barrels. The troop holds their meetings in church's buildings. Some of the troop's gear is stored at the preschool So this was a thank you from the troop in return. Troop 633 shoveling chips to spread in the daycare playground. After their hard work, the boys enjoyed Honey's moral support. And Honey loved them back just as hard. Honey receives a lot of scout love in return for her moral support.